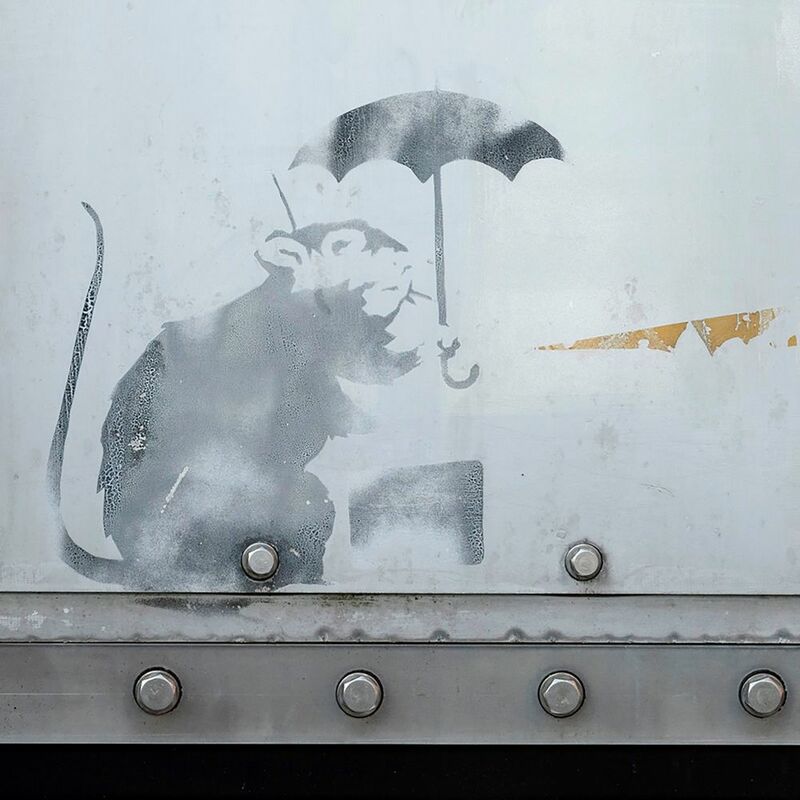 Tokyo is trying to verify whether a drawing of a rat holding an umbrella that has been sprayed near a monorail station is the work of the famous and mysterious street artist Banksy. "We noticed there is a drawing of a rat painted with spray" on the door near the Hinode station in central Tokyo, government official Koji Sugiyama told media. "We think there's a possibility it has been done by Banksy." Tokyo governor Yuriko Koike posted photos of the painting on Twitter, saying, "There's a painting of a cute rat in Tokyo which could be Banksy's work! A gift to Tokyo?" The government removed the door, which is designed to prevent flooding during high tides, and placed it in storage to prevent any damage. It is unclear exactly when it was painted but the public safety bureau has known about the graffiti for a long time, he added. The government hopes to verify if it is truly a Banksy work, but "we still don't know if there's an expert in Japan," Sugiyama said. Banksy, a British street artist whose identity is only known to a handful, caused a sensation in October when one of his paintings began shredding just after selling for US$1.4 million (HK$10.92 million).